ZORIA™ Boost Lash Intensifying Serum utilizes patented polypeptide technology to naturally enhance and support each of the three phases of the eyelash growth cycle. The result: dramatically longer, fuller and darker looking eyelashes. Non-prescription Zoria™ Boost’s clinically proven, drug-free formula is non-irritating and delivers noticeable results without the potential side effects associated with other lash-enhancement products. ZORIA™ Boost naturally stimulates, strengthens and conditions eyelashes creating a dramatically longer, fuller, darker look. Ideal for individuals with sensitive eyes. Directions: Eyeliner serum should be applied to clean, dry skin along the lash line (where eyelashes meet) each night. For best results, brush serum directly onto eyelashes, fully coating them. Avoid direct contact with the eyes. Do not rinse for 2-3 hours. Ingredients: water, sony amino acid, magnesium ascorbic phosphate, sodium chloride, disodium EDTA, myristoyl pentapeptide-17, cocoyl-oligopeptide-1, calcium chloride, polyaminopropyl biguanide, hydroxyethylcellulose, phenoxyethanol, caprylyl glycol, polyhexamethylene biguanide HCl, adenosine triphosphate, camellia sinensis (green tee) extract, tocopheryl acetate, glycerine. How it Works: ZORIA™ Boost Lash Intensifying Serum utilizes patented polypeptide technology to naturally enhance and support each of the three phases of the eyelash growth cycle. 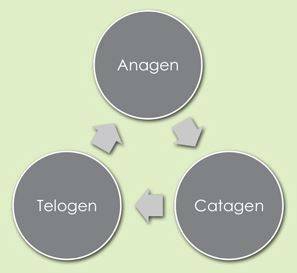 The Anagen (active growth) Phase – lasts between 30-45 days. In this phase, the patented polypeptide technology in ZORIA™ Boost stimulates keratin genes and hair follicles to support natural eyelash growth.